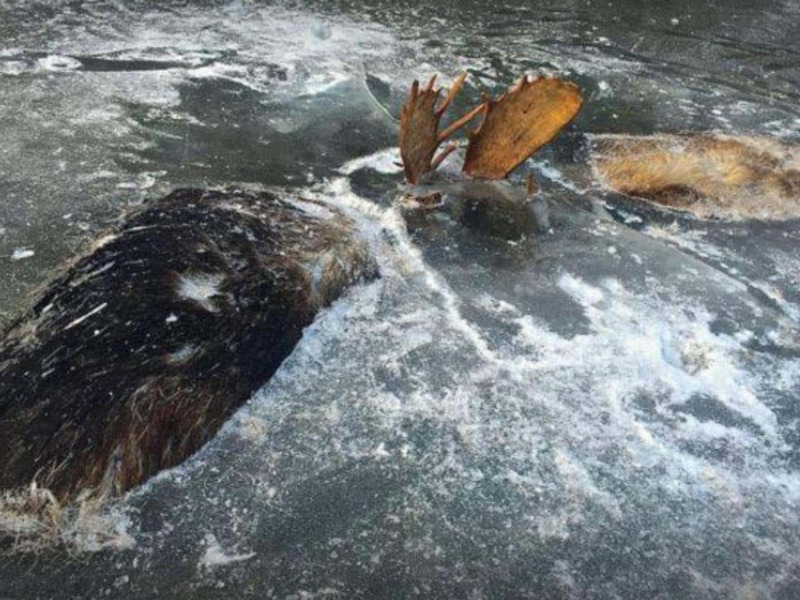 A moose has drowned in Vermont after a crowd of people taking photographs scared the animal into the water. Vermont wildlife officials said the moose is believed to have already swum several kilometers to cross Lake Champlain from New York state, which borders the west side of the lake. When it reached the shore at South Hero – part of Grand Isle in the middle of the lake, it caught the attention of bystanders who crowded around the animal while it was resting. It then re-entered the water and drowned of exhaustion. Photographs on Facebook showed the body of the large animal bound by the legs and in the back of wildlife officials’ pickup truck. Fish and Wildlife Officer Robert Currier told news outlet WCAX3: “The best practice is to stay away from it, keep your distance. Don’t crowd the moose.